Statoil, Norway’s government-owned oil company, has changed its name to Equinor. It announced the news with a bizarre video that features gymnasts, an acne-covered teen, and a woman giving birth. Statoil/Equinor says that the name change is not just cosmetic, however, and signals a move towards being a “broad energy company,” rather than simply focusing on oil. Statoil, Norway’s government-owned oil company, has changed its name – and it made the announcement in a bizarre fashion. The firm, the world’s 11th largest oil and gas company, released a video on Thursday announcing that after 45 years of operations, it is changing its name to Equinor. The video is perhaps not what you’d expect from a company with assets worth more than €100 billion. 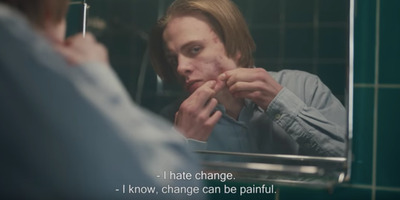 Starting off with the scream of a woman echoing through a forest, the video then cuts to her giving birth, before shots of a little girl doing gymnastics, a classroom of children learning that “to learn is to change”, and a spotty teenager looking in the mirror cross the screen. After a minute or so, the video’s narrator confirms that even big companies like Statoil change, eventually announcing the change of name right at the end of the two-minute long clip. “Equinor is a powerful expression of who we are, where we come from and what we aspire to be. We are a values-based company, and equality describes how we want to approach people and the societies where we operate,” Eldar Sætre, chief executive of Statoil, or is it Equinor, said in a statement. Equinor says that the name change is not just cosmetic, however, and signals a move towards being a “broad energy company,” rather than simply focusing on oil.